How Do I Find Clients??? 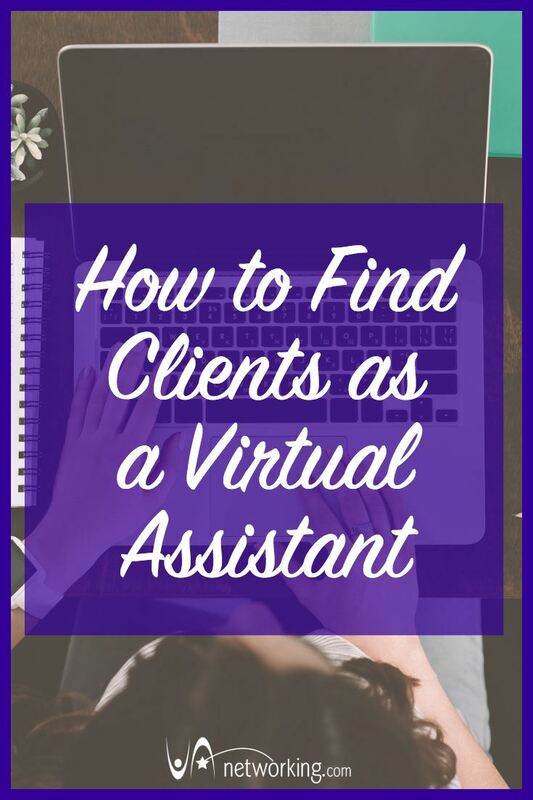 Once you have your Virtual Assistant business up and running reality hits us head on that you will need clients to make money ergo you’ll need ways to find those clients. Many VAs find new clients by marketing their business either in person or online. Print up business cards. Write out your mission statement and a short answer to the question, “What do you do?”. Find events to attend so that you can meet people who need your services. This can happen locally and from afar with virtual events. Remember that what you do is solve a problem for someone. You don’t manage their calendar; you free up their time and remind them of their responsibilities so that they can focus on what they do best. Understanding what it is you do and who you do it for can help you get clients by telling them who you are, what you do, and how you can help them make their business more successful. Develop a website for yourself that lets clients know what you do. Then promote yourself online. Social media is a great way to connect with clients. Set up a business-related account at each of the main sites, such as LinkedIn, Facebook, and Twitter. Create a strong page that will impress people and make you look like you’re worth doing business with. Don’t try to get by with a free hosted website because you get what you pay for. Find a reliable host for your website. If you’re that strapped for money perfect your LinkedIn page and use that as your home base. Join reputable Virtual Assistant organizations that have high-quality job boards. The VAinsider’s Club offers many requests for proposals. Let people that you network with know that you’re looking for clients. Ensure that you master the important features of each VA organization so that you know how to use them properly. Also, remember don’t compete on price. Price your work based on what you feel you should be paid and the amount that makes it worth it for you to do it. No matter how much you want to work, steer clear of any projects that are badly written or too open-ended and vague. Whether you meet someone via a job site, a referral, or someone you connected with via social media it’s important to develop a system for reviewing if you want to work with clients. Remember, you are interviewing them to ensure they fit in with your idea of an ideal client and your niche. Most Virtual Assistants have approximately 40 hours in a week to work at their business. If you’ve determined you can usually devote 25-30 to billable hours a week to your business. The other 10-15 non-billable hours are for administrative tasks (bookkeeping, marketing, etc.) which you’ll need to set aside to keep your business running smoothly. You should be working as many of those non-billable hours you’ve set aside to find clients. As you fill your billable hours with clients, you can reduce the marketing hours but some of your non-billable hours need to be spent on marketing even when you’re full of clients because ideally, you will want a waiting list. 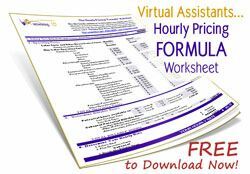 Download our handy Hourly Pricing Formula Worksheet to figure out how much you should be charging your clients. 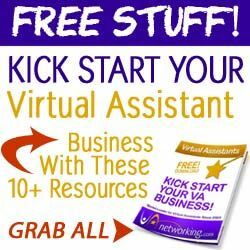 Looking for and getting work requires that you’re devoted to and committed to being a virtual assistant as your business and career. Take it seriously and follow a pattern and you’ll soon be successful. 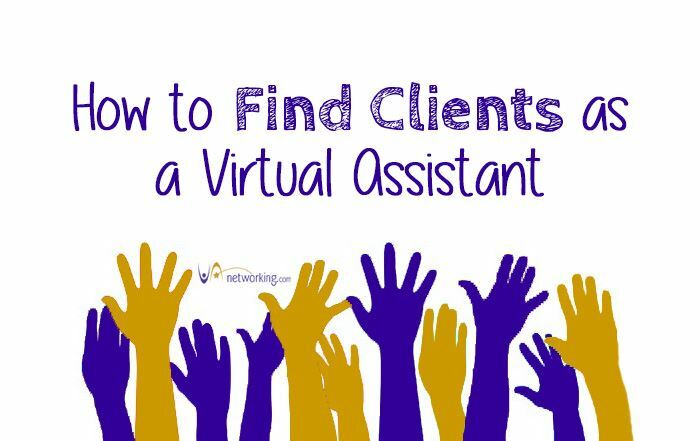 Want to learn more about finding clients? CLICK HERE to JOIN IN on the conversation at our FREE #VAforum. Another great read thanks to you Tawnya! I am always amazed at how you are able to write and make your readers feel that they are just talking to a friend.